The British man Mr. Rewi Alley, an investigator of our union, will be transferred to the Factory Inspection Department. 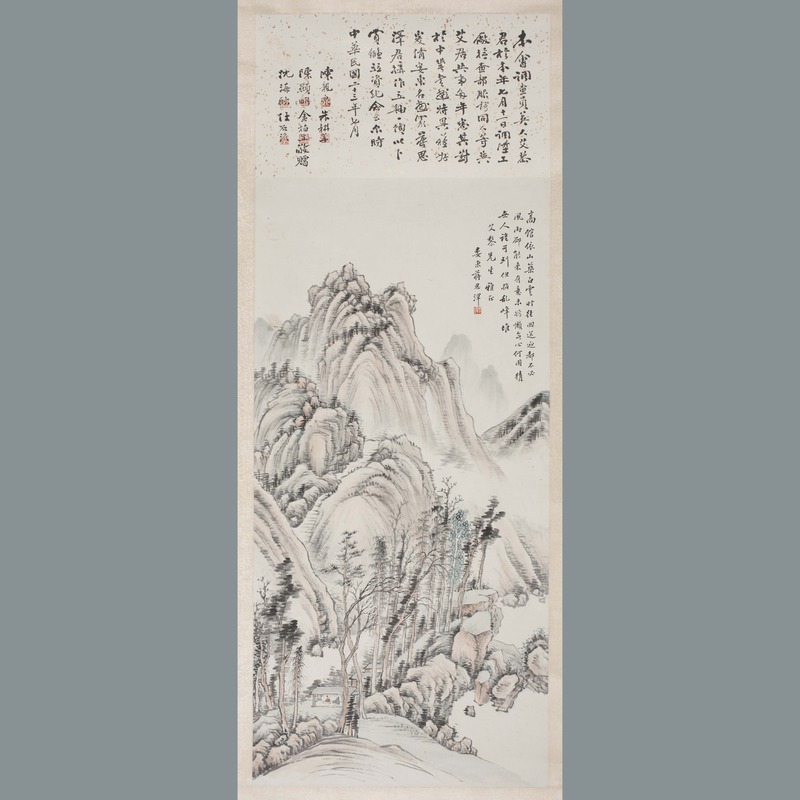 We have worked with Mr. Alley for many years, all knowing that he has a keen interest in Chinese calligraphy and painting. Therefore, we commissioned this hanging scroll from Jiang Size, a famous painter in Loudong, for Alley and our friendship as well. In the July of the 23rd year of the Republic of China (1934). Chen Longquan, Zhu GengX, Chen Xianming, Jin Bosheng, Shen Haigeng, Ren Shiliu. Respectfully presented. A presentation painting from Chinese colleagues to Rewi Alley in Shanghai, July 1934. Gifted to Canterbury Museum by Alley's mother, C.M. Alley, in 1944. Loaned to William Hart-Smith for exhibition in Timaru in 1949. 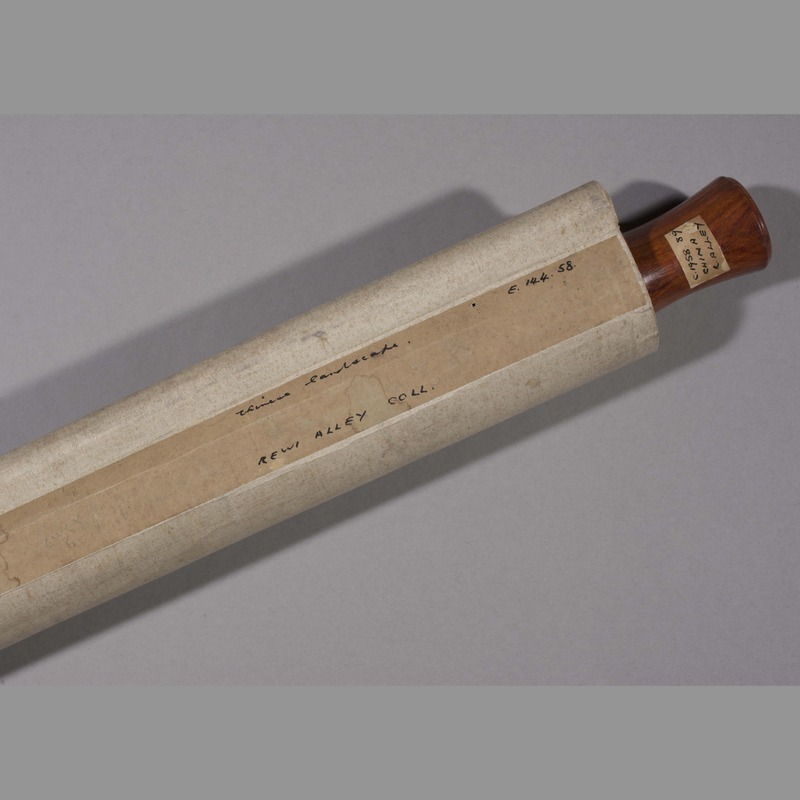 Loaned to Margaret Garland (1903-1998) for an exhibition of Chinese art at The Architectural Centre Gallery, Wellington, and Auckland Art Gallery, in 1954. 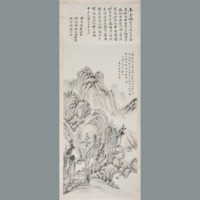 Jiang Size, “Painting: landscape,” China, Art and Cultural Diplomacy, accessed April 22, 2019, http://rewialleyart.nz/items/show/1254.